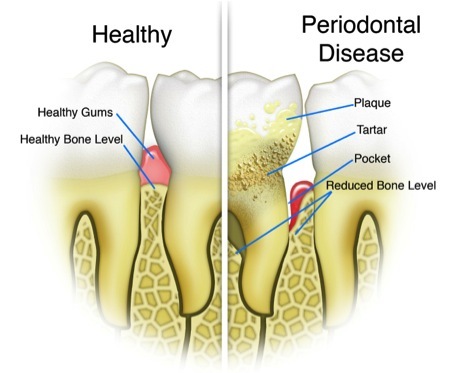 Periodontal disease is an infection of the gum and the bones around your teeth which can lead to bleeding, pain, sensitivity, bone destruction, and eventual tooth loss. Indeed, periodontal disease is the most common reason for tooth loss world-wide. Part of the reason is because periodontal disease is usually ‘silent’; meaning that individuals with the disease are often unaware of it until they begin to lose teeth. Periodontal disease has been linked to bad breath, stroke, heart attack, Alzheimer’s, pneumonia, diabetes, pregnancy complications, and many other health conditions. This is why dentists of today will monitor your pockets and your gums for periodontal disease. If they notice that you may be getting periodontal disease they will often refer you to a periodontist for comprehensive evaluation and treatment. Periodonstists can evaluate and determine the extent of your disease. Periodontal treatment can make your mouth healthier and help preserve your teeth. It can range from some simple oral hygiene tricks and tips to LANAP to pocket reduction surgery. Sometimes the remaining bone in your mouth has shrunk or not developed normally. If you are considering an implant, you may need a bone graft to build up the bone first. A bone graft is a way of adding new bone to help stabilize a future implant. 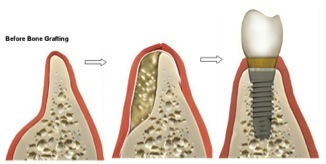 They can be small (such as a socket graft – a bone graft placed into a tooth socket from which the tooth has just been extracted) or large (such as an external sinus lift – lifting your maxillary sinus up and placing bone graft below it in order to accommodate a future implant in the back of your top jaw). A gum graft is a collective name for surgical procedures that aim to either 1) cover an exposed root surface and/or 2) thickening remaining gums so that recession does not progress. 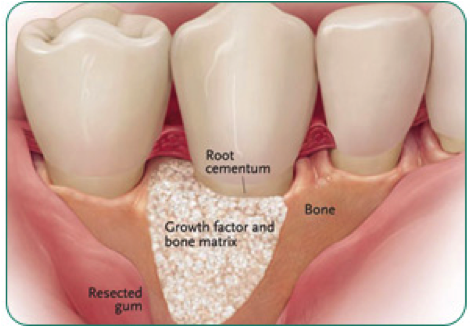 Exposed roots are usually the result of gingival recession. Gingival recession is most often caused by aggressive brushing, trauma, poor oral hygiene, tooth position and other anatomical factors. A few of the major benefits associated with gum grafting include reduced sensitivity, improved appearance with less root visible, and improved gum health. Sometimes a patient will lose bone and tissue around a tooth or dental implant. This is usually caused by excessive force (e.g. bruxism) or aggressive bacteria. Guided tissue regeneration is a procedure that attempts to regenerate lost bone and tissue around a tooth or dental implant to restore what has been lost. 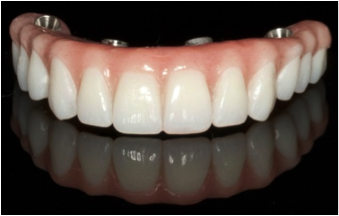 Crown lengthening is commonly performed to expose more of the natural tooth by reshaping or re-contouring bone and gum tissue. It can be performed for a single tooth or many teeth in an area. If a tooth is decayed, broken below the gum line or simply has insufficient tooth structure for a restoration, crown lengthening is performed first and then the tooth can be restored back to function. Occasionally there is extra gum tissue around teeth making them look unnaturally short. 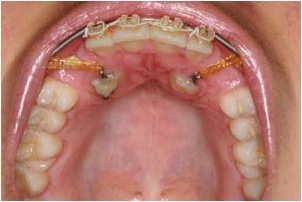 This is referred to as a gummy smile. 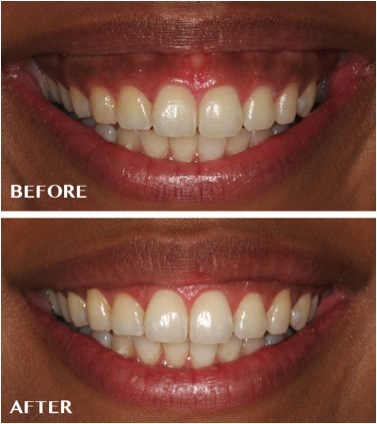 Esthetic crown lengthening can be utilized to remove the excess tissue and restore a balanced, healthy looking smile. It is sometimes done in conjunction with lip repositioning. In some cases, high positioning of the lips may create the appearance of a gummy smile. If this is a problem for you, a lip repositioning in which the upper lip is lowered may improve your smile’s aesthetics. You can test this out on yourself by ‘pinning’ your upper lip down with your finger and seeing if you like your new smile. Lip repositioning removes a small strip of tissue from the upper lip and the exposed area is lowered and sutured into place. The entire procedure takes approximately 30 minutes. Most of us were not born with perfectly straight teeth and some of us are born with teeth in the wrong position or missing all together. The most common tooth to not erupt properly is the upper canine. It is not uncommon for these teeth to remain stuck under the gum, requiring surgical exposure to access the tooth and pull it into proper alignment with orthodontics. After exposure of the canine, the periodontist may place a bracket on the tooth in order to facilitate pulling the tooth into proper alignment. Sometimes when the normal tissues in your mouth look or act strangely a biopsy is required. 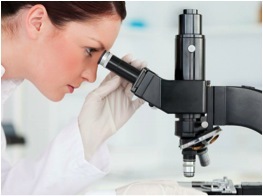 It is the removal of small portion of tissue in order to examine it under a microscope. It is usually a quick and simple procedure with minimal post-operative discomfort. 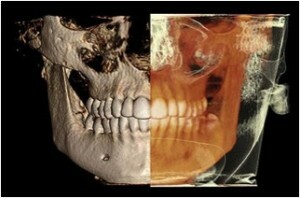 We use high-resolution lose-dose 3D x-rays (CT Scans) to help with treating and diagnosing our patients. We can determine the best position for a dental implant, assess bone volume to determine if a patient requires bone grafting, analyze tissue for possible pathology, and investigate painful teeth when the cause of discomfort is not apparent by other means. A dental implant is an artificial root made of titanium metal. It is inserted into the jawbone to replace the root of the natural tooth. 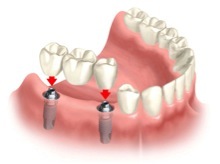 An artificial replacement tooth (a crown and post) is then attached to the implant. 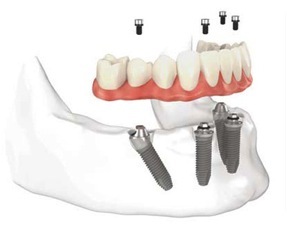 The implant acts as an anchor to hold the replacement tooth in place. 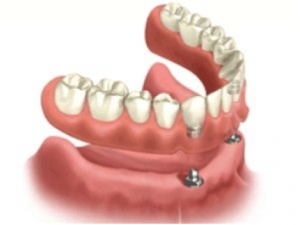 Dental implants can be used as a solution for replacing single or multiple missing teeth, and for stabilizing dentures. The procedure is gentle with minimal post-operative discomfort. Another recent development in periodontal disease treatment is the use of laser to regenerate tissue. The LANAP treatment utilizes the body’s own natural ability to “heal itself”. Performed without a scalpel and sutures, LANAP creates an environment for regeneration of the tissues around your teeth (gum, bone, cementum, and ligament) that are lost due to periodontal disease. Can’t imagine feeling relaxed while receiving periodontal treatment? Has fear kept you from receiving the care you need? Now it’s possible to relax while receiving care with intravenous (IV) sedation. Intravenous conscious sedation provides a deep state of relaxation. Most patients report having little or no memory of treatment while under IV sedation. For patients whose anxiety is not dramatic enough for IV sedation, we offer oral conscious sedation. This involves taking a carefully-prescribed sedative shortly before your visit. By the time of your appointment you should feel significantly relaxed. A new set of upper or lower teeth in a single appointment. This procedure involves removing any remaining teeth from the top or bottom jaw, placing 4-8 implants, and immediately adhering a new set of fixed teeth to the implants. Teeth-in-a-Day is an excellent alternative for patients who already have dentures or who’ve been thinking about getting them but are looking for other alternatives. Because it only takes a single appointment to complete the Teeth-in-a-Day procedure, patients can look forward to enjoying a light meal immediately after the procedure. The procedure usually takes the better part of a morning.